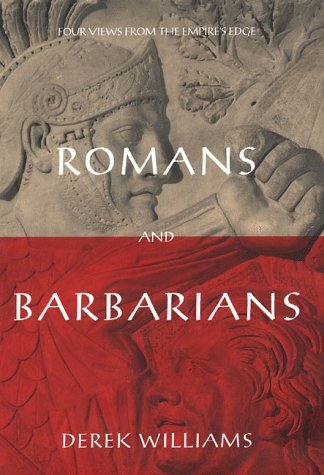 As I recall, Caesar's Commentaries start off, in the first paragraph or so, with a remark that the Belgians were the bravest tribe in present day France because the merchants visted them the least often. A[n] 1,800-year-old barge... is currently being excavated by archaeologists from the bottom of Heldammer Stroom, an offshoot of the old course of the River Rhine near the city of Utrecht... It is 25 metres long and 2.7 m wide, and is the first to be found with a cabin containing an entire inventory of items that have been fully preserved - from the captain's kitchen, bed and chest, down to the contents of his cupboard... "When you consider the fact that only four whole Roman planes (used to smooth wood) have been found in the entire world and that we have found the same number of planes already on this one site, you begin to appreciate the significance of this discovery." The conquest of what we call the Netherlands picked up steam during the reign of Augustus when the brothers (some ancient sources claim they were half-brothers, that Drusus was actually the son of Augustus and Livia, conceived while she was still married to Tiberius' father) Drusus and Tiberius were carrying out their brilliant campaign in the Rhineland and Germania. Drusus had a long canal cut to move troops around the enemy's flank, and that has survived as part of a modern river course.